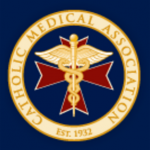 The AMA is in the process of updating its Code of Ethics. The preliminary documents are available online, including Chapter 5: Opinions on Caring for Patients at the End of Life. The first two sections are about Advance Care Planning and Advance Directives. These are new concepts that medicine has not needed before the era of cost containment because the assumption has always been that if a person comes to a medical professional, it is because he or she wants care. Now we must ask patients again and again if they are sure they want treatment because certainly some, even many, will refuse. We know most patients refuse certain treatments before they even need them out of fear and pride–the “I would rather die than live like that” effect. (See Rubin EB, Buehler AE, Halpern SD. States Worse Than Death Among Hospitalized Patients With Serious Illnesses. JAMA Intern Med. Published online August 01, 2016.) When actually confronted with these conditions, patients willingly to adapt to them and go on living. The next three sections are all scenarios in which the AMA insists that doctors let patients die. 5.3 Withholding or Withdrawing Life-Sustaining Treatment: “When an intervention no longer helps to achieve the patient’s goal for care or desired quality of life, it is ethically appropriate for physicans to withdraw it.” This opinion does contain hope, however. I advise patients not to refuse any treatment in an advance directive before they are faced with that choice because even after starting a treatment it always can be stopped if it is not effective. In other words, don’t make a decision before you actually have to make it. 5.4 Orders Not to Attempt Resuscitation: “Whether a patient declines or accepts medically appropriate resuscitative interventions, physicians should not permit their personal value judgements to obstruct implementation of the patient’s decision.” Compare this statement to what is found in the next section. So physicians should not let their “personal value judgements” get in the way of treating someone but must insist on their judgements regarding what is “futile”? The section states, “The meaning of the term ‘futile’ depends on the values and goals of a particular patient in specific clinical circumstances.” While patient autonomy is the overruling factor in refusing treatment, it can be ignored when a doctor’s opinion is that something is futile. And how often will physicians deem a treatment futile not based on the merit of the treatment, but on the arbitrary value they place on someone’s life becasue of a patient’s age or condition?